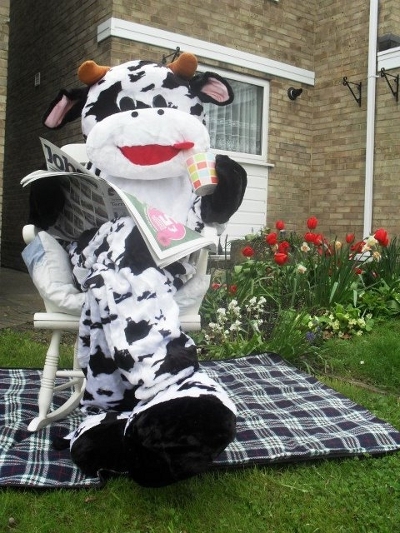 Khushi the Cow has arrived! Here she is relaxing after her long tiring journey. We’ll be seeing a lot more of her in the run up to the Khushi Feet weekend.